10 digit scientific calculator has a key layout and functions comparable to the TI-30XA. Calculator is engineered with an AntiMicrobial agent that reduces the growth of microbes and bacteria that can cause discoloration and odors. 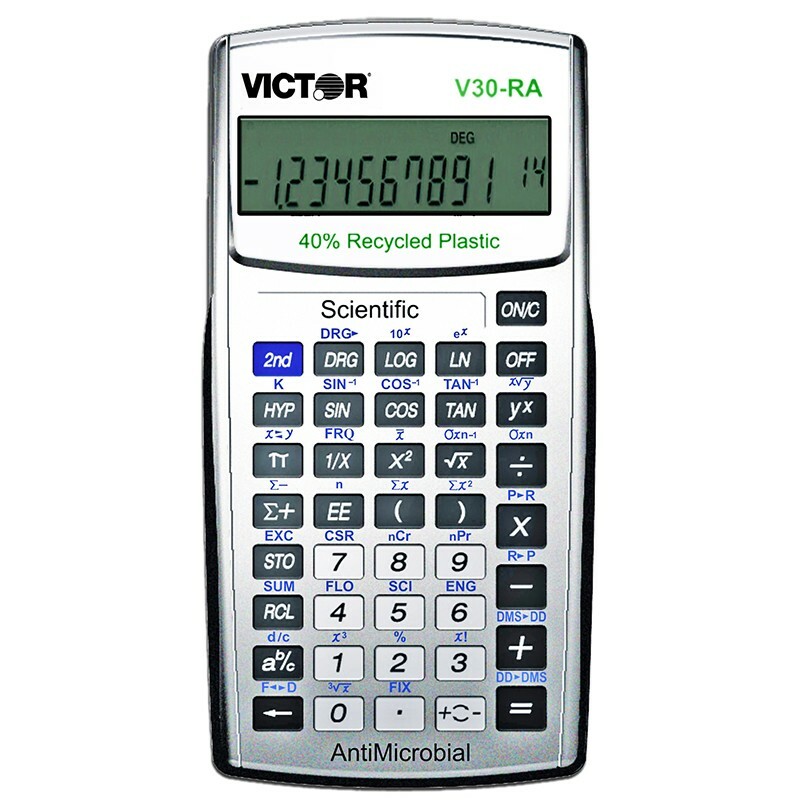 Environmentally friendly, this calculator is manufactured with 40% recycled plastic. The feature loaded functionality makes this model an excellent choice for general math, algebra, geometry, trigonometry, statistics and science. The stylish silver with black and white accents gives the calculator a contemporary look. Other innovative features: multiplies, divides, subtracts, and adds fractions in traditional numerator/denominator format, performs degrees/radians/grads, polar/rectangular conversions and fraction/decimal conversions and has 3 memories. Includes protective hard shell case. Battery powered. 2 Year Manufacturer's Standard Warranty.